Lapel pins are the perfect way to reward long service to your staff, they make a fantastic achievement award in sports and by far our most requested use for these lapel pins is from non-profit organisations looking to re-sell and raise funds or awareness for charity. Lapel pins have a massive return on investment for non-profit groups, they have sold for as much as $100 to individuals and businesses that want to show support for a charity. They also make a great souvenir that can be pinned to hats, caps and backpacks. See below for branding info. A Brilliant effect and by far a great solution for colour lapel pins. 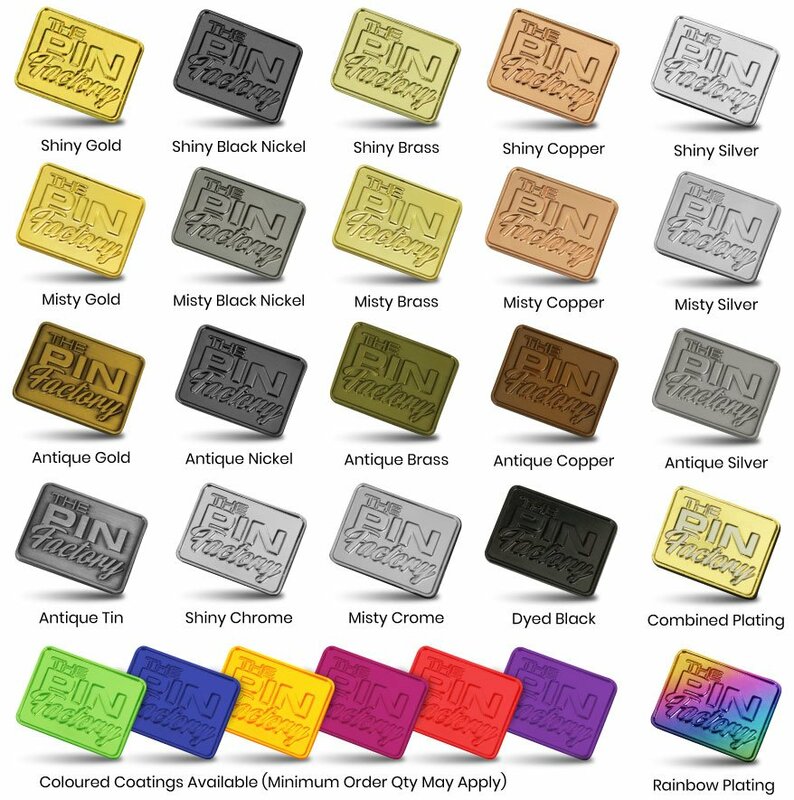 We mould your external shape and then fill various sectors of the design with colour matched enamel to create a vibrant, extremely long lasting and durable finish.